With March nearly upon us, it’s the time where a load of new dramas make their debut and we have another one to introduce to you. The new MBC mini series, Personal Taste, starring Lee Minho and Son Ye Jin recently revealed their promotional stills, generating interest among fans. Just like Lee Minho’s last drama, Boys Over Flowers, he will be romancing his co-star who is older than him by five years off the screen. The photos were recently taken at MBC Dream Center at Ilsan on the 18th which portrays them living together under one roof as roommates. The story is adapted from a novel of the same name and is about a guy called Jeon Jin Ho who is a straight guy but pretends to be gay in order to become a roommate to his female friend, Park Kae In. Sounds familiar but what matters most is the process. Personal Taste will premiere on March 31st. Top Korean actors Kim Hee-seon and Lee Jun-ki are being considered as the main cast for a new historical drama based on medicine helmed by famed director Kim Jong-hak of the "Taewangsasingi" series. "We are still in the process of discussing whether she will appear in 'Faith' -- nothing has been set as of yet," actress Kim's agency told Asia Economic Daily over the phone on Friday. A source close to the producers of the show also said discussions are still underway with the cast to be confirmed by late February at the earliest. Meanwhile, an official with a broadcaster said Lee's appearance in the drama has almost been set with the actor himself showing "great interest in the show." The drama, tentatively titled "Faith," will be director Kim's comeback production set to air on the small screen near the end of the year. Actress Kim, 32, has been one of the most popular actresses in the country since her debut in 1993. She was last seen on the screen in SBS' 2006 TV series "Smile Again" until she married in 2007. Lee made a splash into the acting industry, appearing in the 2005 hit film "The King and the Clown" which is the second-most watched Korean film to date. His latest work was MBC TV series "Hero," which ended its run mid-January of this year. 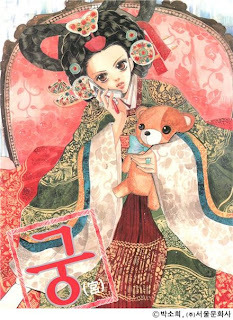 Hit television drama "Goong" is set to be made into a musical, according to a press release by the show's producer Group 8. Group 8 explained that they had long planned on creating the musical version of "Goong", originally based on a comic series before being made into an adaptation on the small screen in 2006. The musical "Goong" -- the first of the "Group 8 Musical Collection" series -- will be filled with fancy art direction, which the TV series was also famous for, and include various music genres and dance sequences. The producers are currently casting the lead actors for the musical through an open audition on www.group8tv.com/audition.html. "Goong" (MBC, 2006) is a story about an average high-school girl marrying a royal prince in 21st century Korea, which is in fiction a monarchical country. The drama was a huge success and turned its two lead actors, Yoon Eun-hye and Joo Ji-hoon, into household names. The musical will premiere on September 3 at the National Museum of Korea. Broadcasting station, especially television drama production, is often called as the core of desire and materialism. TV station is the place of envy for many people, but they also criticize it as the place where unethical thoughts are generalized. However, those who work in drama production team are not different from us; they are common people who need love and care just like others. Most of Korean dramas are focused on family problems and troubled relationships between lovers. However, for the moderners, workplace is where they spend most of their time. If one fails to build decent relationships with others in his workplace, it would be hard to read his life as a success. “Worlds Within” will bring out the stories of drama production staffs; the warm, touching stories of their love and life. He is acute, righteous, humane, warm-hearted, and passionate. He is also the envy of his juniors. Two miniseries, which he produced in the last three years, had good ratings and were highly acclaimed for their quality. Now, he is producing another miniseries which has a good quality and high ratings. 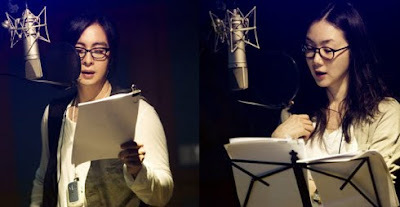 She finished the harsh period as an assistant producer six months ago. Two short dramas which she produced lately received a favorable evaluation and enjoyed high ratings. As she was awarded a prize at a drama festival held in foreign country, she became a new producer of note. She is straightforward, passionate, delightful, firm, and cool. But, through her parents, she has learned early how thin and futile trust can be between people. Knowing that, she cannot decide what to do in the relationship with Jio which obviously has ended while her heart just aches.